A trip aboard the AMADEUS fleet offers you the opportunity to do everything you’ve ever dreamed of on a holiday, so you can discover exciting destinations, meet fellow passengers from all over the world, enjoy excellent food in great style and simply relax. You have everything you need on board to guarantee an unforgettable voyage from start to finish. 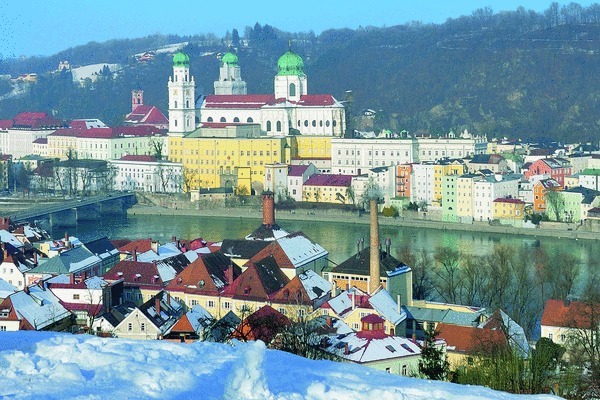 Your New Year’s cruise begins in Passau, a city located at the confluence of the Danube, Inn and Ilz rivers. After embarking, the cruise director invites you to a Welcome Cocktail, followed by a lovingly prepared Welcome Dinner in the Panorama Restaurant. In the meantime, your ship travels towards Vienna. 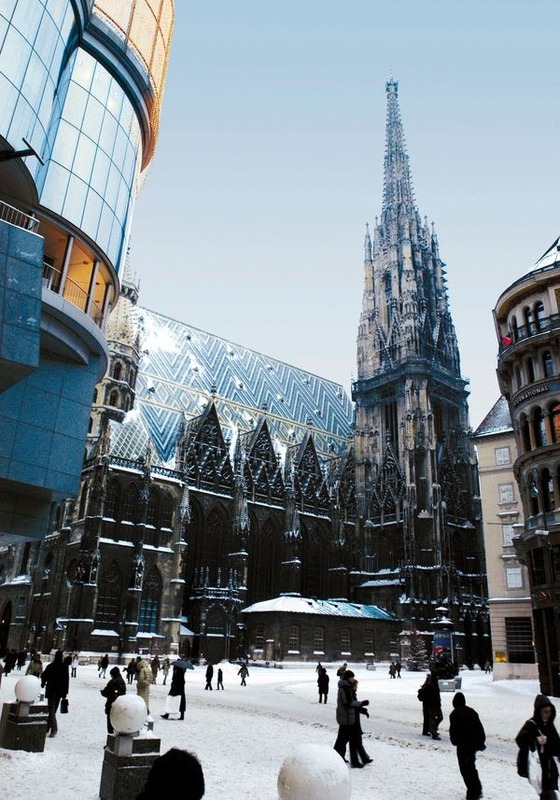 The first stop of your wintery cruise is in the Austrian capital city, Vienna. Explore the magnificent buildings of the Danube metropolis during the course of an afternoon sightseeing tour and view the impressive sights of this former residence of the imperial Habsburg family. 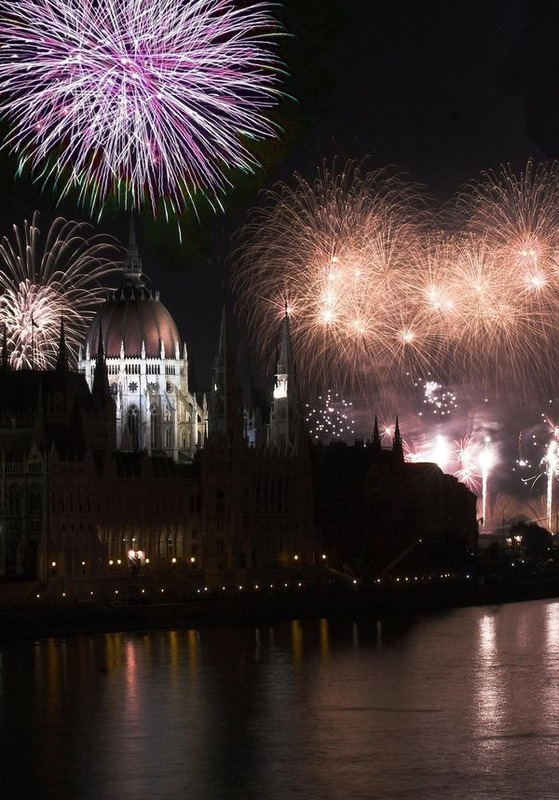 After this cultural experience, return to your ship, which will depart during the night and pass through Slovakia, arriving in Hungary the following day. 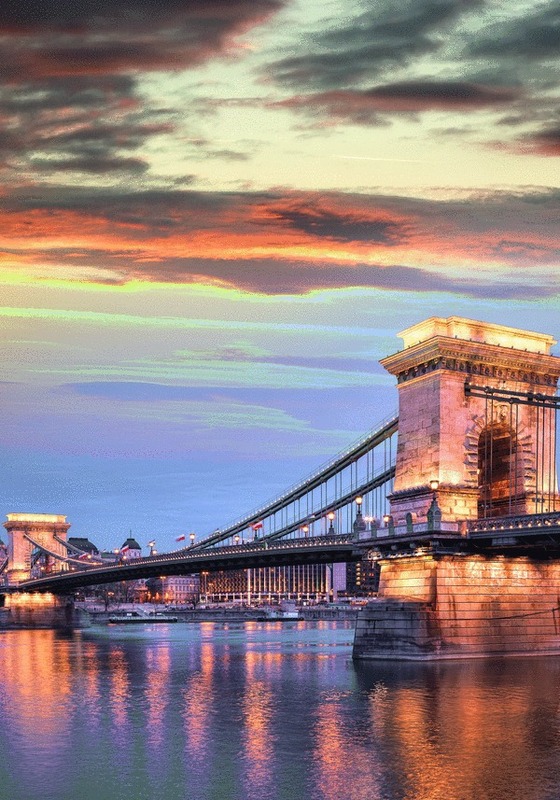 At lunch time you arrive in the Hungarian capital city of Budapest, also aptly known as the “Queen of the Danube”. During a city sightseeing tour, you can admire the countless cultural treasures of this magical city, followed by an evening cruise through a festively illuminated Budapest, together with a Hungarian folklore show on board. Celebrate New Year on board in style while enjoying an excellent view of the spectacular fireworks from the sun deck! The morning of New Year’s Day is at your disposal, allowing you to enjoy it as you wish, for example by taking another stroll through the city and exploring it on your own. Alternatively, you may prefer to relax on board, enjoying the Panorama Bar and a relaxing walk around the sun deck. At lunch time, your ship leaves Budapest. 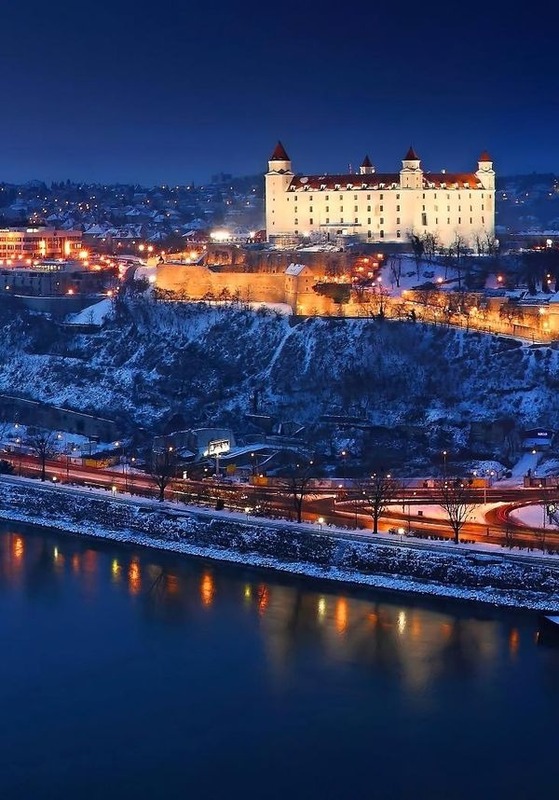 During the night, your AMADEUS ship arrived in the Slovakian capital city of Bratislava, where you will spend the remainder of the day. Get to know this impressive Danube city during the course of a sightseeing trip in a comfortable tour bus, which will take you to the famous castle hill and the picturesque old town. An elegant Captain’s Gala Dinner awaits you in the evening, and in the meantime, your floating premium hotel weighs anchor and returns to Austria. 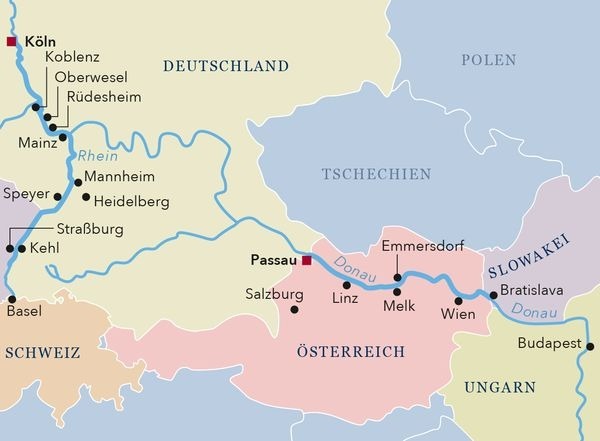 Spend the morning on board, enjoying the impressive views of the passing winter landscapes while your ship travels downriver into the UNESCO World Natural Heritage region of the Wachau. At midday you will reach Melk/Emmersdorf, where you have the opportunity of joining an excursion to Melk Abbey and Dürnstein. 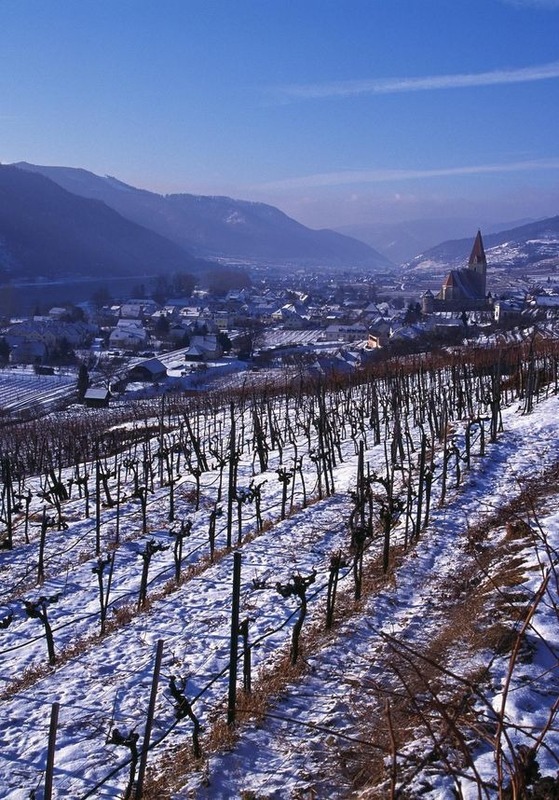 At the end of the excursion you will have the opportunity to sample some of the famous Wachau wines. Late afternoon return to your ship and begin the last stage of your cruise. After a generous breakfast, you disembark, and the entire AMADEUS crew wishes you a pleasant homeward journey and all the best for the coming year! We hope to welcome you again soon!